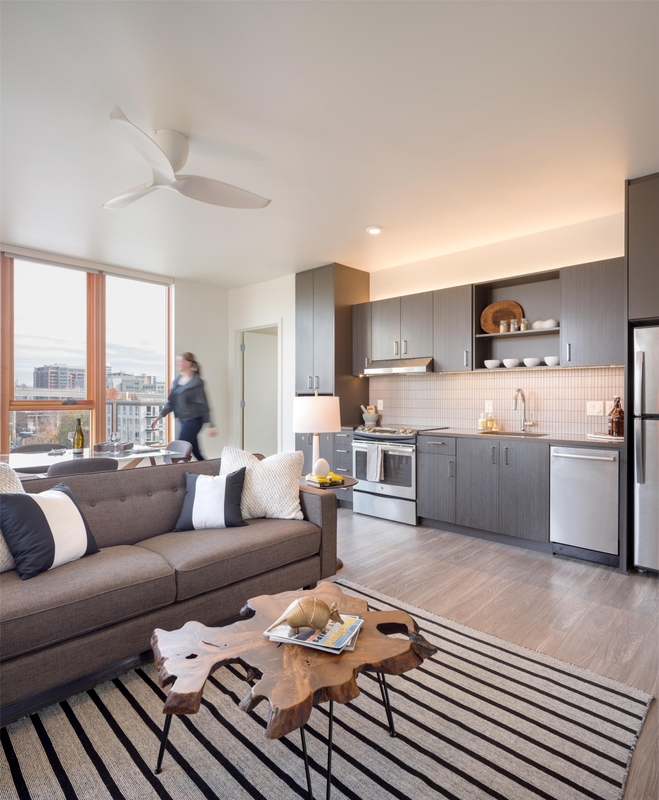 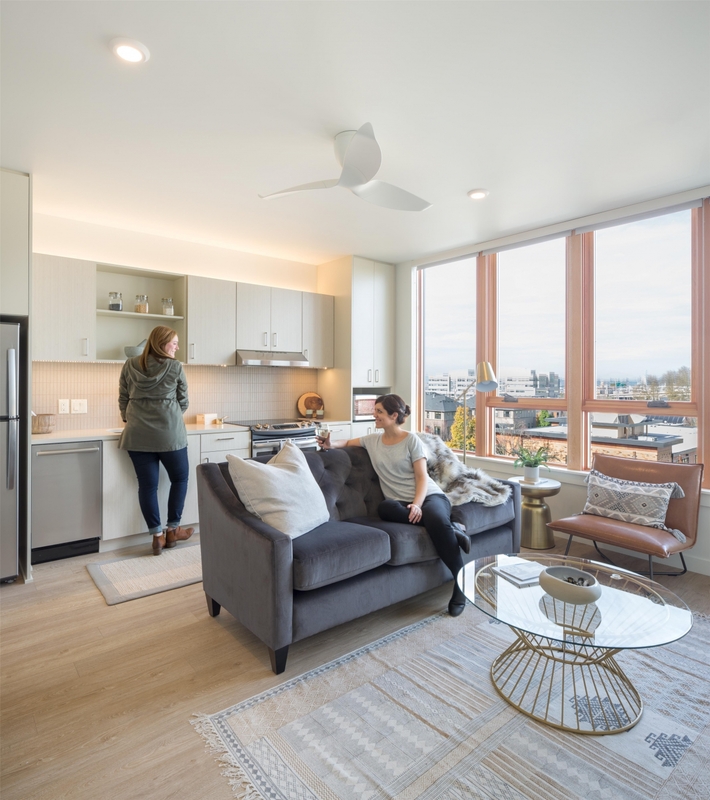 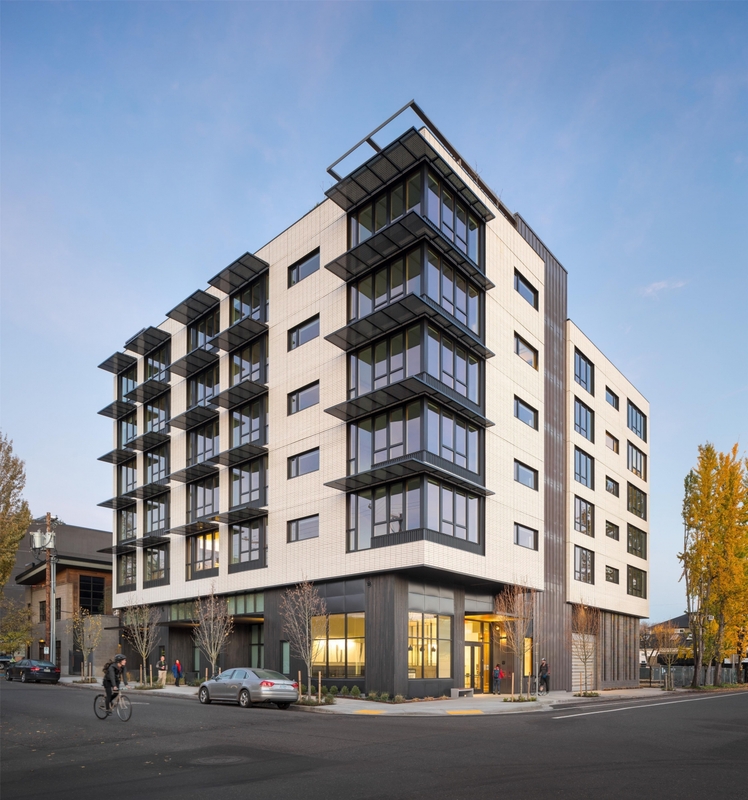 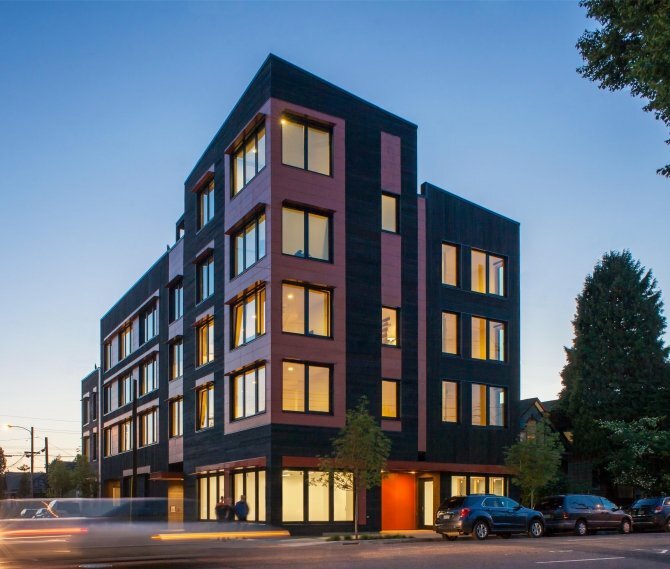 The Muse Apartments brings 58 apartments to the walkable, quiet, leafy streets of Northwest Portland. 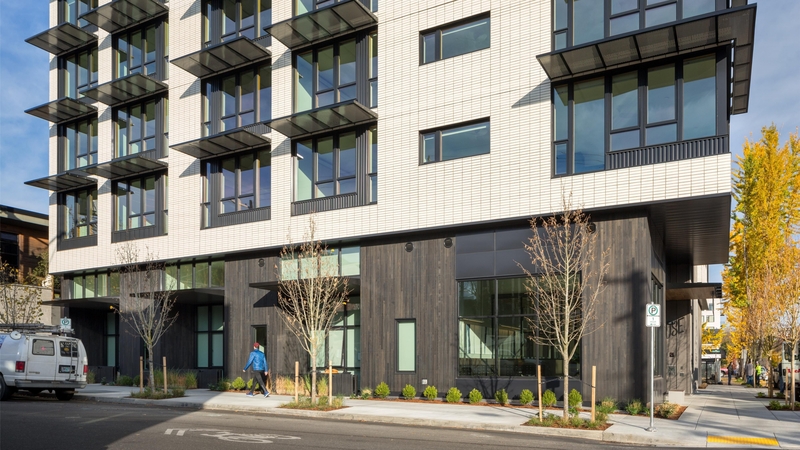 The building’s design symbolizes an appreciation for handcraft reflecting the neighborhood’s maker and creative culture. 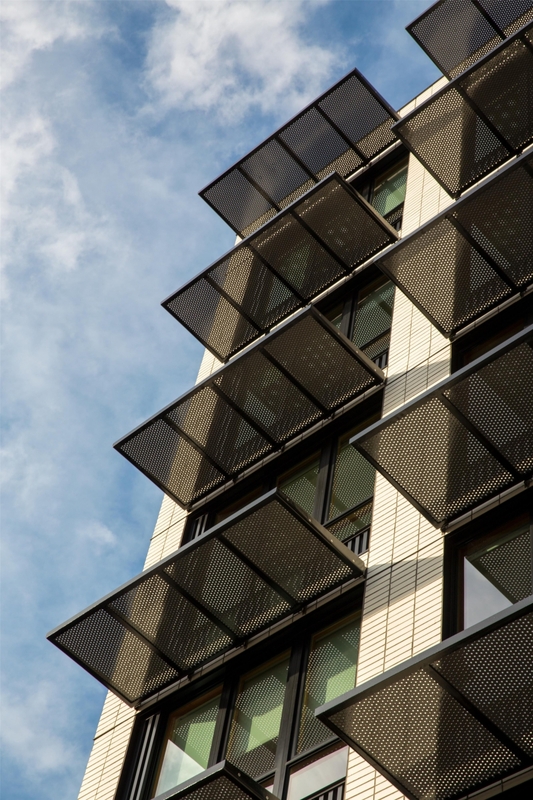 Throughout Muse, design solutions prioritize the thoughtful detailing of simple materials. 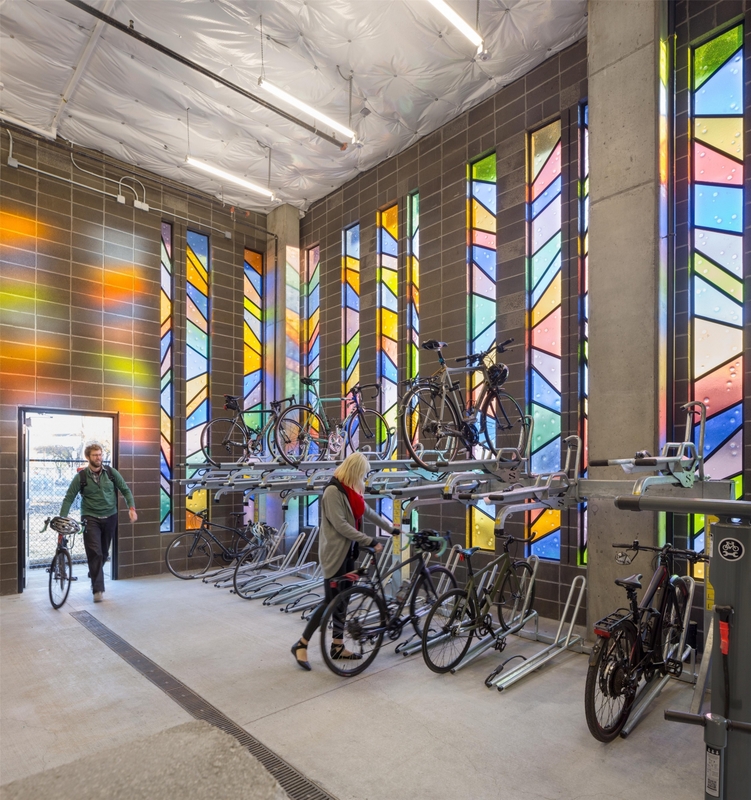 The art glass wall in the bike room combines the raw aesthetic beauty of burnished concrete block with handmade stained glass, transforming a purely functional space into an colorful display of natural light. 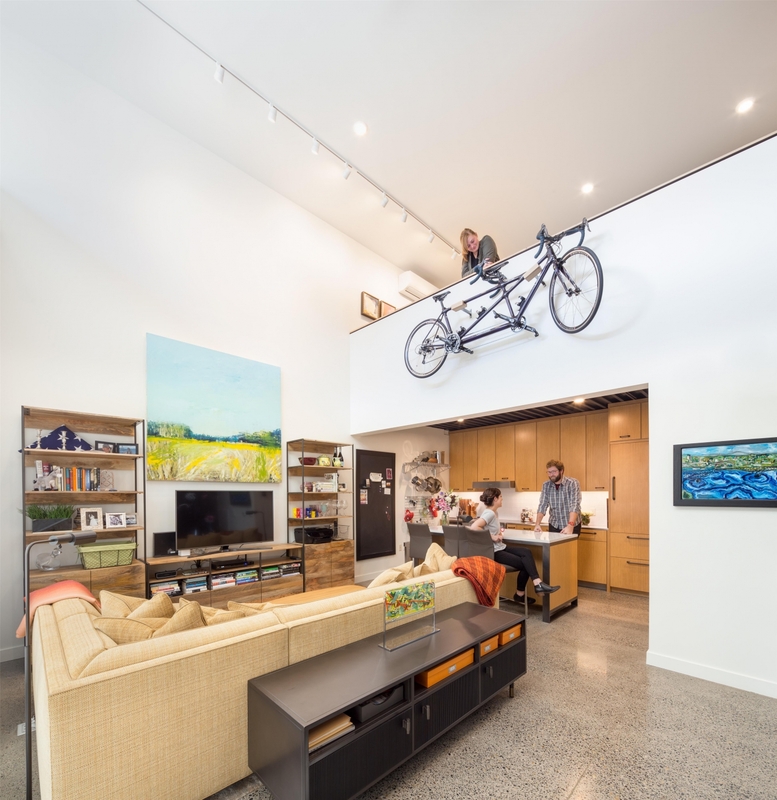 In the early morning, a cyclist is greeted with a multi-hued light show. 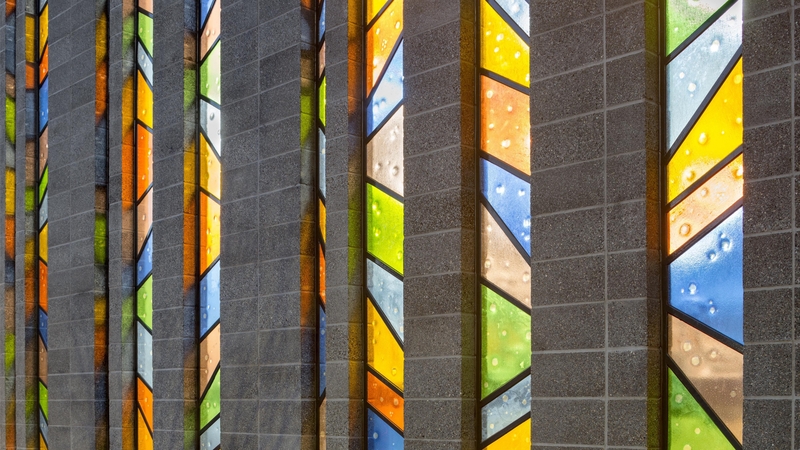 In the evening, the stained glass is a beacon welcoming the cyclist home with a soft luminous glow. 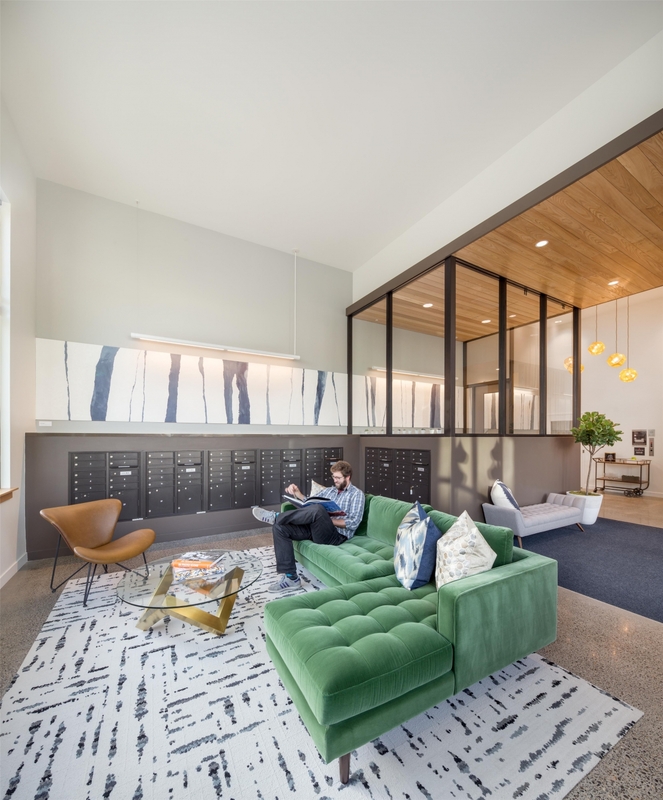 The idea of elevating places of pause through thoughtful design is evident throughout the building. 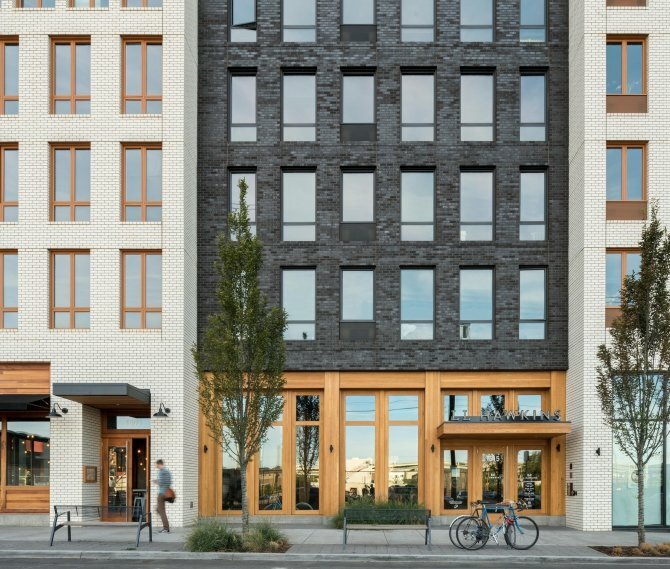 The three ground floor apartment windows have contemporary stained glass fronting their loft stairs. 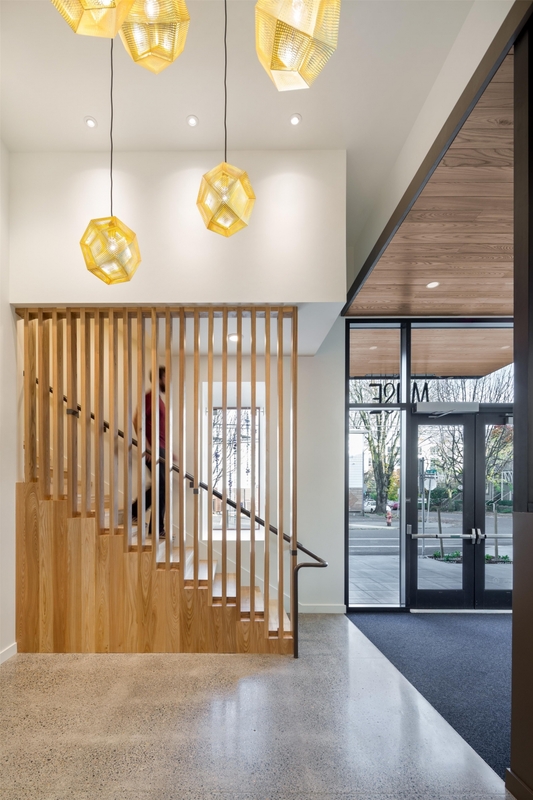 The open lobby staircase filters sun light through wooden elm slats. 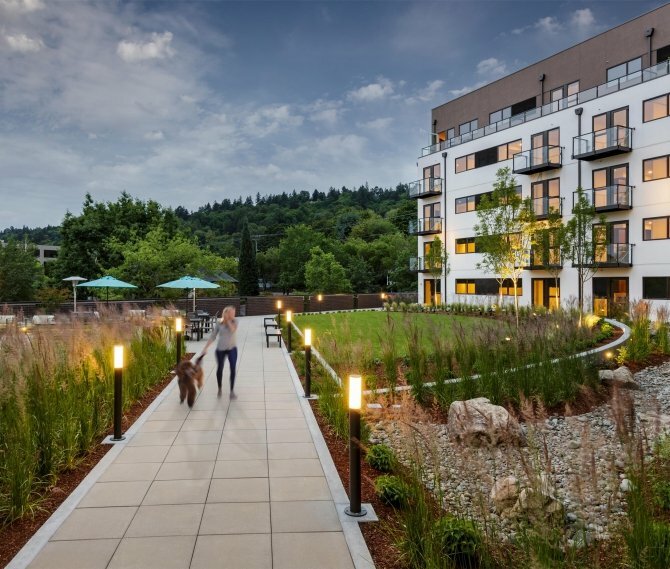 As residents exit the elevator, a commissioned mural welcomes them to their floor. 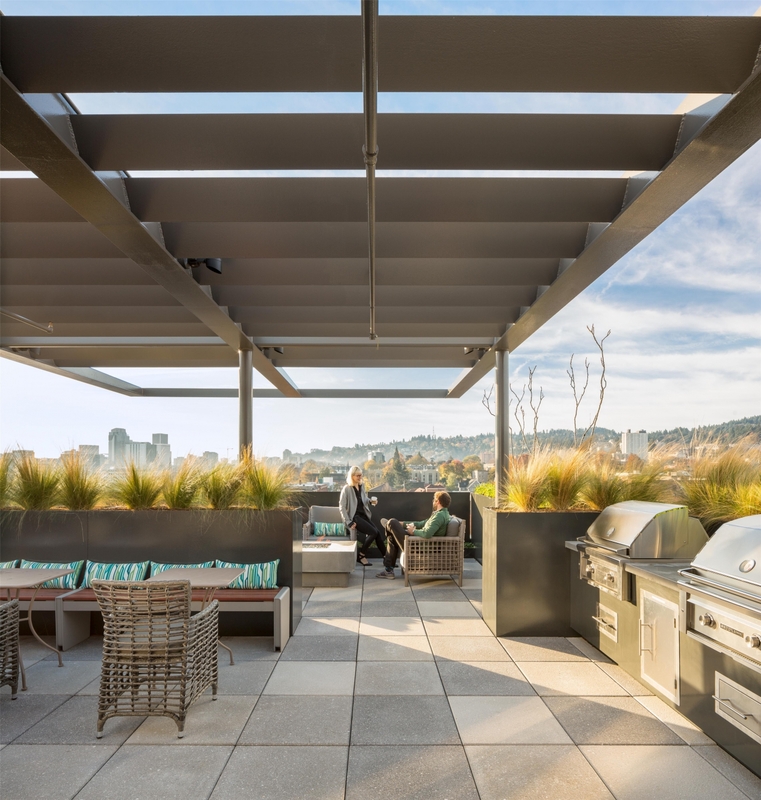 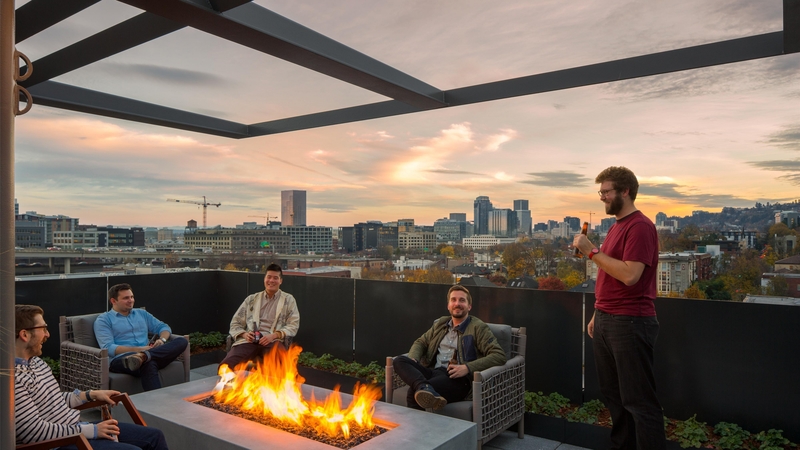 Overlooking the Portland skyline, the rooftop amenity deck is capped by a handcrafted steel trellis offering an exterior community gathering space around a fireplace, barbecue, and lounge seating. 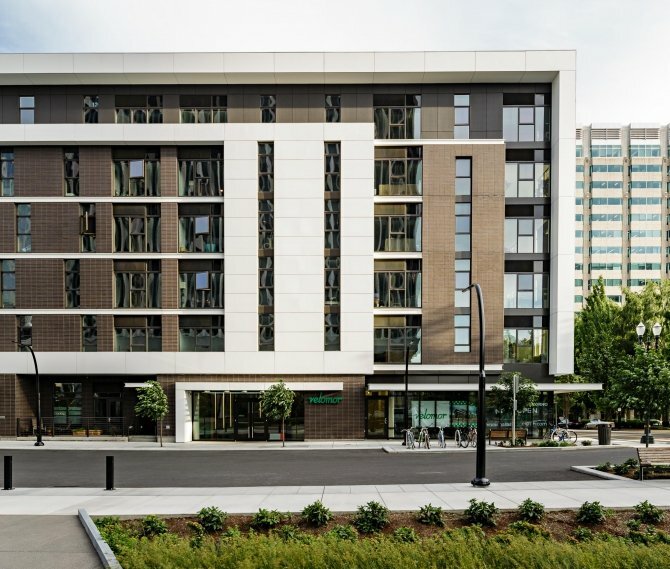 Muse is a LEED Platinum certified building providing residents convenient and comfortable urban living with reduced energy consumption. 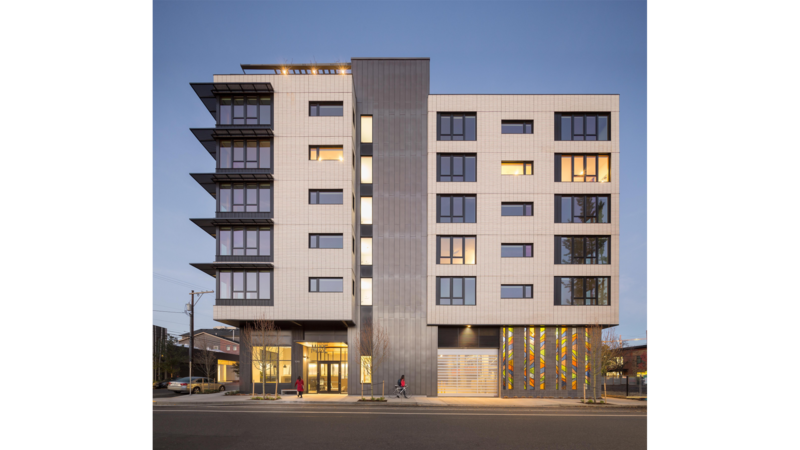 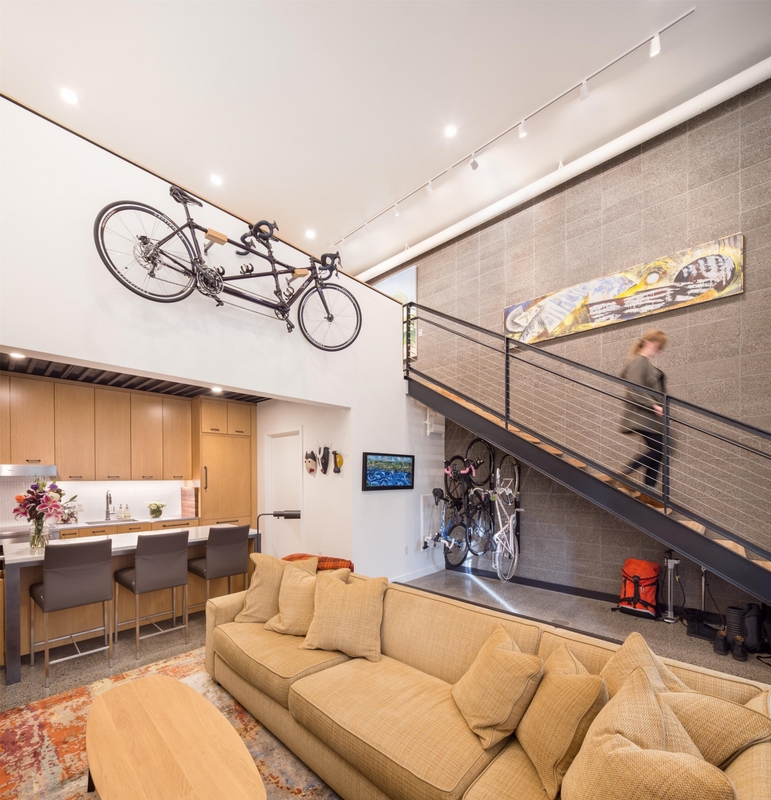 The building adds to the vitality and diversity of uses in the neighborhood.